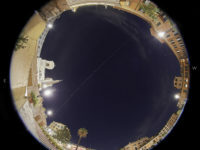 I’ve been following up the International Space Station (ISS) recently, while it flew above Rome. 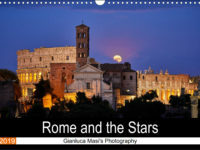 I captured it above some symbols of the city, like the Colosseum and other monuments. Now I managed to track it over the entire sky of the Eternal City, crossing the glory of the ancient constellations. The International Space Station crosses the sky of Rome on 24 March 2019. 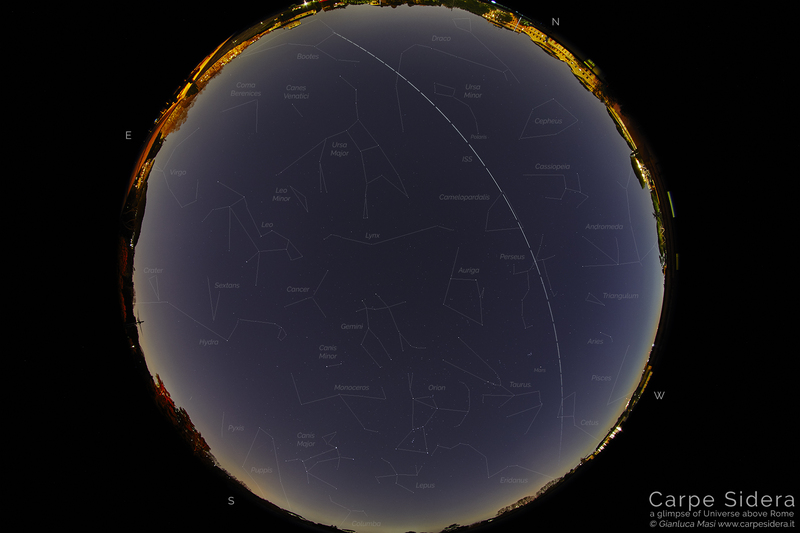 I’ve been looking forward to capture an entire pass of the International Space Station from Rome, horizon-to-horizon. For this, I needed of a suitable transit, a good sky and the right set-up. Imaging something like this from Rome could not sound as the best option. A more remote site, with a darker, pristine sky could help, but those familiar with my work know I love to capture the starry sky from the city, as I believe this can show how many wonderful things are visible there even from urban locations. I believe this is the first step to promote responsible actions and behaviors preserving the stars and limiting the effects of artificial light on the natural environments. 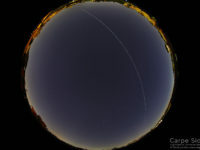 On the evening of 24 March 2019, I spotted a nice ISS transit involving the whole sky, with the station becoming quite bright (mag. -3.0) and high enough (about 50 degrees) to offer a memorable view. So, I quickly planned an imaging session to cover it. As always, I used one of my Canon 5D Mark IV DSLR bodies on a light, but sturdy tripod, while this time I needed a special lens, to capture the whole sky. This is, of course, a fish-eye lens and I used my Canon EF 8-15mm f/4L Fisheye USM at 8mm@f/4, offering a circular area covering 180 degrees, as needed. 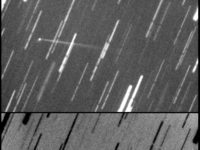 Using such an extreme lens is not straightforward: if you want to cover the entire sky, you have to carefully point it to 90 deg above the horizon (zenith), to exploit its special features. I managed to set it up to my best and waited for the right moment to start the image sequence. I used a remote controller to acquire images back to back, with one second in between. A total of 42, 10-seconds exposures were taken, later combined to create a single frame. 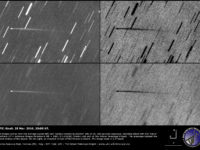 While the camera was imaging, seeing the ISS by naked eye was an emotion as always: if you never tried, enjoying one of these bright transits is a must! The ISS moved from the bottom right to the upper left: if you click and enlarge the image, you can see the last trail (close to Bootes constellation) show it to fade, while the station enters the Earth’s shadow. 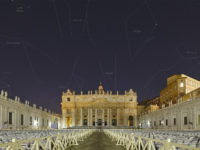 The result is visible above, where I took care to plot constellations, too: this way, I want to show that looking at the sky is always rewarding, even from a huge city like Rome. I also marked planet Mars and Polaris and the N, S, E,W directions. Needless to say, the International Space Station is the dashed trail, with segments of different lengths telling how its apparent speed changes over the pass (all the images used the same exposure time: 10 seconds). Below you find the same image as above, but without labels. I’m more than happy with this! Now, I want to use this approach to include a monument showing as a frame all around and I already have a few ideas.